R.I.P. Dean Jones, star of The Love Bug and That Darn Cat! 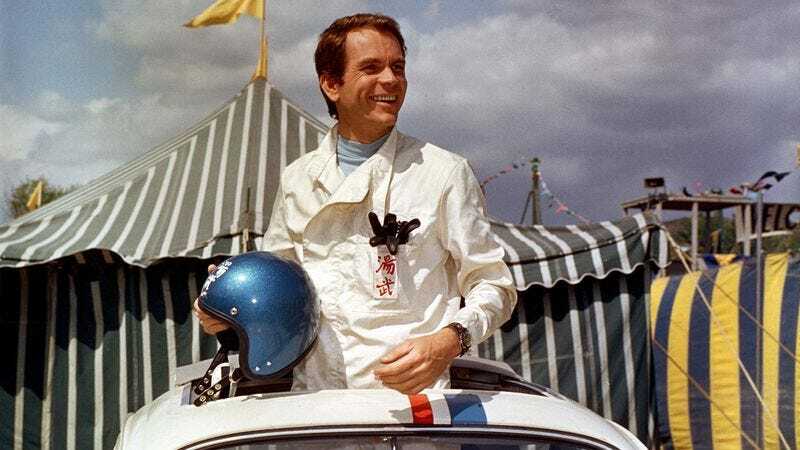 Dean Jones, a mainstay of Disney’s live-action comedy films in the 1960s and ’70s, has died of complications from Parkinson’s disease. Jones was 84. Appearing in numerous films, TV shows, and stage productions, Jones started his film career with an uncredited role in 1954’s Somebody Up There Likes Me. He appeared in numerous films throughout the ’50s, including Dean Martin’s Ten Thousand Bedrooms, and a small role in the Elvis Presley vehicle Jailhouse Rock. Apart from his work in Hollywood, Jones also pursued a theater career, appearing on Broadway for the first time in 1960, and originating the part of Robert in Stephen Sondheim’s Company. In 1962, Jones was cast in the NBC sitcom Ensign O’Toole, where he played a prank-loving Navy crewman constantly at odds with his stern commanding officer. The show caught the attention of Walt Disney, whose own weekly program, then known as Walt Disney’s Wonderful World Of Color, aired immediately after it, leading to Disney offering Jones a starring role in 1965’s That Darn Cat!. The movie was the first in a 10-film collaboration between Jones and the Disney studios, with the actor lending his affable, everyman charm to films like The Ugly Dachshund, The Shaggy D.A., and The Love Bug, the last of which spawned several sequels and a TV show, which Jones starred in in 1982. Jones is survived by his wife, Lory, and several children and grandchildren.